Submitted by Lee Fraser – This is a tale of bitter cold and welcoming warmth. Somehow, here in Toronto, the right light bulb went on over the right head. Winterfolk is the creation of Brian Gladstone. Having spent most of his life in the corporate world, it seems that Brian chose to explore his creative side when others were embarking on mid-life crises. With almost five decades behind him, he decided to record an album. Through hard work and self-promotion, he got radio play and record label distribution in Europe. But when he tried out for the home-town holy grail, Mariposa, Brian didn’t make the cut. 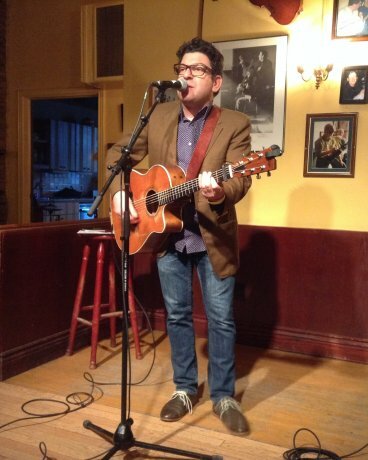 Out of defeat comes innovation: the idea of a folk music festival in the dead of winter. Winterfolk was born. 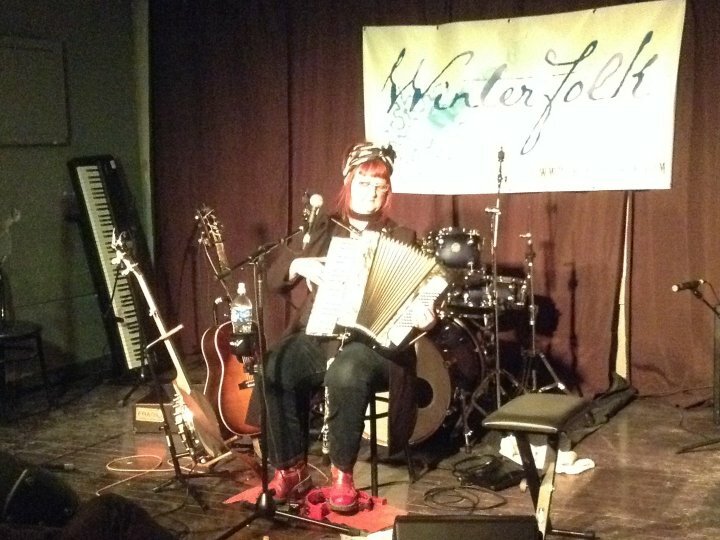 About 150 artists performed at Winterfolk this year, and it was pretty easy to get lost in the kind-heartedness and camaraderie that is folk music. Armed with a wrist band, you could wander into the “big old wooden room” of the Dora Keogh, as Ben Sures dubbed it, or get some pub grub at Terri O’s. A wide variety of entertainment was on tap during these shows. For example, veteran bass players Rachel Melas and Gary Kendall provided a fresh perspective on bass line playing and writing. 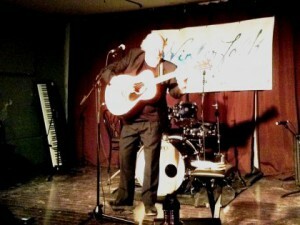 Acoustic guitar-playing singer-songwriters like Ben charmed the crowd with their mixes of perceptive songs and personal stories. Toronto favourites as well as players from across the country graced the stages. “Graceland” played in this style gives you a great appreciation of the lyrics, as well as the creativity of the artist. Alfie was followed by the big sound and big style of the Heavyweights Brass Band. With smiles on everyone’s faces, it was easy to see how their set would end in a parade down the centre aisle, a march that brought every audience member to their feet. After the party atmosphere of the brass band’s antics, it’s hard to imagine a bluesy protest song, but along comes the one and only David Essig. David played slide guitar and accompanied his songs with the most fascinating tales of how Delta Blues icons influenced and interacted with him. We may not have been dancing in the aisles, but we were riveted to this gem of Canadian folk. The dancing came at the end of the night, courtesy of party blues by a band that included Gary Kendal, Al Lerman and Jack de Keyser. 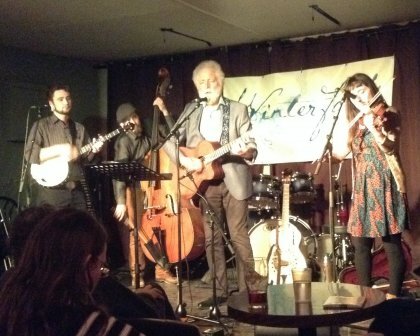 A true evening of folk music took place on the Sunday night at another ticketed event, billed as “They Put the Folk in Winterfolk”. This impressive line-up included David Essig, Linda McRae, Ken Whitely and Lynn Miles. There was something for everyone at this show. The renowned story-teller Essig regaled us with anecdotes of his time touring Italy as a folk musician, providing a completely different show from Friday night. Linda McRae made us all re-think our part in social responsibility by filling us in on the work she has done with at-risk youth and inmates at New Folsom Prison, while Ken Whitely showcased his newest endeavour, The Beulah Band. Lynn Miles foreshadowed a humorous performance with her tongue-in-cheek pantomime of the accolades bestowed upon her during her introduction. She was accompanied by Keith Glass and Rebecca Campbell, who added to the laissez-faire attitude and openness of the performance. 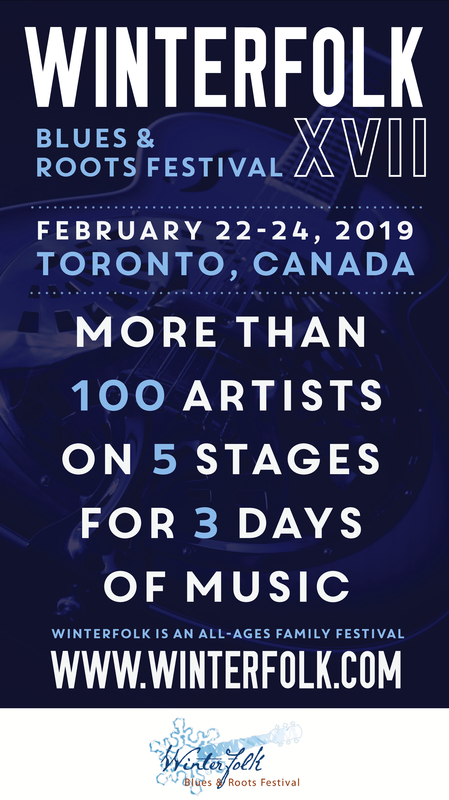 Whether you bar hop with your wristband, or settle into a ticketed show, there really is no better way to spend a winter weekend. Brian Gladstone and his Winterfolk team have lovingly organized this festival for thirteen years now. 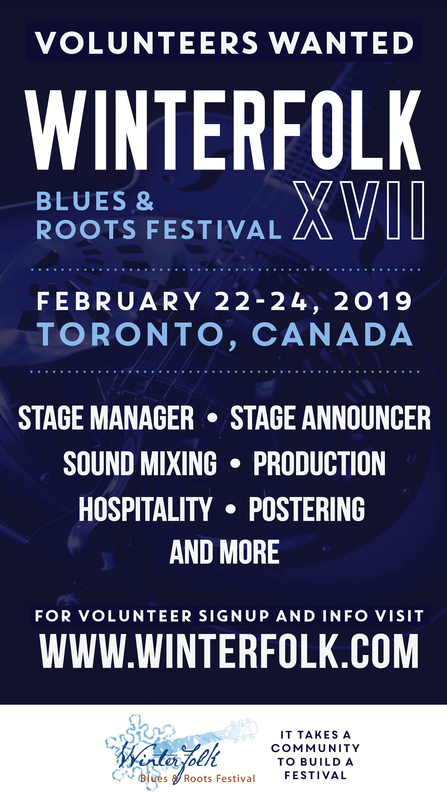 Thanks to dedicated volunteers bravely working stages and chilly check-in tables, backed by a highly competent core team covering all the bases, the Winterfolk Festival is friendly and warm, the perfect answer to the bitter cold.